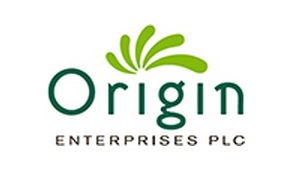 Origin Enterprises plc, the Irish agri-sevices group, has disposed of its 32% share in Valeo Foods Group Limited to Capvest Partners for €86.6m. Origin and Capvest established Valeo in September 2010 to facilitate the merger of the Origin’s wholly-owned consumer food interests and the Irish food company Batchelors. The settlement of €86.6m comprises of €42.5m in respect of the disposal of the Group’s 32% shareholding and €44.1m in full settlement of the vendor loan note, Origin says. Origin says its share of profit after interest and tax from Valeo is expected to average €6.5m for the three years to July 31, 2015. In addition interest earned on the vendor loan note will average €2.1m for the same period, it says. The carrying value of the Origin’s investment in Valeo at January 31, 2015 it says, amounted to €67m inclusive of a cash equity amount of €22m. Origin says that the proceeds from the disposal will be used initially to reduce debt and ultimately for investment in agri-services. 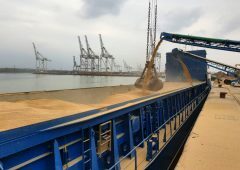 Origin Chief Executive Officer, Tom O’Mahony said that the transaction furthers the Origin’s capital reallocation objectives while tightening Origin’s strategic focus as it prioritises the further development of agri-services. “Valeo’s proven track record and execution capability will support further category leading innovation and the extension of current sector positions,” he said. Origin has also announced that it has reached agreement to acquire the Romanian based Redoxim SRL (‘Redoxim’) and Comfert SRL (‘Comfert’). The transactions build upon the company’s integrated agronomy services platform and on-farm knowledge transfer capabilities. Redoxim, headquartered in Timisoara, Romania and founded in 1991, is a leading provider of agronomy services, macro and micro inputs to arable, vegetable and horticulture growers, Origin says. It employs over 190 people, it says and services approximately 2,000 customers through an established distribution network of 55 retail outlets and a team of 50 agronomists and product specialists. Under the terms of the transaction Origin says it will acquire a 100% interest in Redoxim for a total cash consideration of €35m. The transaction is subject to a number of conditions and is expected to complete during September 2015. Some €31.5m will be payable upon completion with €3.5m payable on the first anniversary of completion, it says. Comfert, headquartered in Bacau, Romania and founded in 1998, is a leading provider of agronomy services, integrated inputs and crop marketing support to arable and vegetable growers. It employs over 180 people, Origin says, and operates a comprehensive distribution network servicing approximately 1,900 largely intensive and technically orientated farming customers through a team of 32 agronomists and product specialists. Origin is also to acquire 100% of Comfert based upon an enterprise value of €19.4m. Additional deferred consideration, it says, will be payable based upon the achievement of specific annual profit targets over a five year period following completion. The transaction is also subject to a number of conditions including clearance from the Romanian Competition Council and is expected to complete during October 2015. The acquisitions are being funded from existing bank facilities and are expected to be earnings enhancing from the 2016 financial year onwards. O’Mahony said that Redoxim and Comfert represent an excellent strategic fit for Origin providing complementary expertise, meaningful geographic extension and strong brand reputation on-farm.